You might not realize it, but a newsletter can create huge boosts to your sales if you implement it properly. A well-designed company newsletter allows you to inform your audience, provide advertising for new products and initiatives, and make sure that your key customers feel as though you are contacting them specifically. By following the tips below, you can create an effective newsletter that will better establish your brand and help your sales. One of the essential tools in your newsletter arsenal needs to be a program that allows you to create interesting and informative emails, then market them appropriately. Some of the best options in the industry include Constant Contact, which provides useful newsletter templates and has a robust set of analytics to go with it, Drip, which offers tools that are especially useful to WordPress users, and ConvertKit, which provides a customizable database that allows you to pick and choose the features you feel to be most necessary. Experiment with these programs and others, checking out demos and free trials until you find what works for you. A good program forms a solid base for your newsletter. Your brand is more than just a logo and slogan. You should use your newsletter to show off your company’s personality. By taking some time to develop a strong visual identity with your newsletter, you create a way for customers to recognize your brand instantly across many different platforms. The visual identity of your newsletter includes choices such as color scheme, font size, and image selection. Consult with your marketing team on all of these decisions. 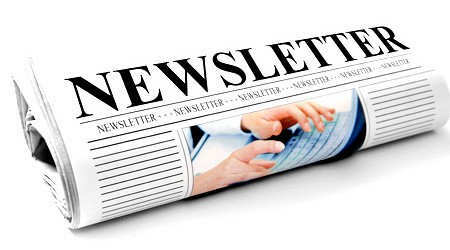 Make sure to also check out some other newsletters within your industry. Doing so helps you make sure that you don’t accidentally borrow visual elements from a competitor, which would only serve to confuse customers. The core of any newsletter comes down to a matter of content. If you can’t provide enough useful and entertaining information for your customers, they will ignore your newsletter entirely. Just as you focus on creating strong content through a blog, make sure that you develop equally strong content for your newsletter. In fact, some of your recent blog entries can be repurposed for articles in the newsletter. However, don’t go overboard with this – you should assume that you can highlight a few things your customers might have missed, but creating too much redundant information in multiple media formats will cause your customers to tune out future communications. While you can borrow from blog entries and other content that is readily available online, you should make sure that your newsletter is not just a copy of what anybody can get. Customers who subscribe to your newsletter need to feel as though they are getting some sort of exclusive information. This could include special articles, an inside look at what is going on at your company, or previews of upcoming products and services. The goal should be to make sure that you offer something to reward customers for being loyal enough to subscribe, while also encouraging them to keep checking out future issues in the months to come. When you design content for your newsletter, make sure that you are doing more than just filling space. Each piece of content should serve a clear purpose or end with a call to action. This helps engage customers more and get them actively involved in your brand. It also makes the content “pop” more, providing readers with a beneficial sense of urgency about the brand. A clarity of purpose also provides more of an emotional impact, and customers respond better when they can tie a strong emotion to the content they experience. If you make sure to include a call to action that is relevant to the material you present, you will find that your customers will be very receptive in return. If you want a way to boost your sales and communicate effectively with both new and established customers, a newsletter is an excellent way to go about things. If you follow the tips outlined above, you will discover that your audience responds extremely well to your newsletter’s content. This in turn will make sure that you get more word of mouth and better engagement from both loyal customers who have been around for a while and new ones interested in what you have to offer, both now and in the future.